Getting paid promptly for your products or services is arguably one of the most important aspects of business. Without prompt payment, cash flow can be interrupted and without cash flow, bankruptcy is never far away. So making your billing and payment processes as simple and straightforward as possible is a definite priority and here we look at the main payment methods available to business and the pros and cons of each. While writing cheques might seem a little archaic, it is still a common practice at the big end of town. So if you deal with large corporate clients, you’ll need to get used to the idea. The older age demographic also still often uses cheques, so if you accept them and your competitors don’t, it could give you a competitive edge. The downside of cheques is they take several days to be cleared (although processing them electronically on your smartphone is an emerging technology) and they could bounce, which in the best case scenario would cost you a small fee and worst case could mean no payment for your product or service. Credit and debit cards are the most common payment method in the world and virtually everyone has a card of some description. So every business needs to be able to accept credit cards and ideally have an Eftpos facility to process debit cards as well. Credit cards encourage your customers to buy more and purchase when they otherwise wouldn’t. They’re fast, convenient and made for the ‘see it, want it, buy it’ world we live in. The downside of accepting cards is the processing fees you’ll have to pay and the compliance rules you’ll need to follow regarding the secure storage of personal information such as credit card numbers. Eftpos machines for debit cards are also expensive and can suffer from speed and reception problems in some areas. BPAY is an Australian electronic bill payment system where payments can be made via a financial institution’s online, mobile or telephone banking facility to businesses that are registered BPAY billers. BPAY payments can be made through over 150 banks, credit unions and financial institutions and over 45,000 businesses currently accept payments. To receive payments via BPAY in your business, you simply register as a biller with your financial institution and add the BPAY logo, your Biller Code and a Customer Reference Number (CRN) to your bills. The upside is you’ll have the money in your account the next business day. The downside is it costs $600 to become a registered BPAY biller, something not every small business can afford. PayPal – one of the most recognised and trusted payment platforms online, it lets you accept credit and debit card payments without having to partner with a credit card processing company. PayPal also lets you accept payments in foreign currencies and then handles the currency exchange process for a small fee. Square – a credit card processor that lets you accept credit cards from your smartphone or tablet without all the usual processing fees. Payments are typically received in your bank account within one to two business days and there are no setup or monthly fees. All you pay is 2.75% per transaction. Stripe – a payment platform packed with features including integrated mobile payments for iOS and Android, checkout, and recurring billing. As a global payment option, it allows you to accept more than 100 different currencies. Cybersource – an online payment processor offering a range of services, including gateway and processing connections, digital wallet and digital payments, debit and bank transfers, payer authentication, payments security, and global tax calculation. The advantages of third party processors are that because you don’t need a merchant account, you can start processing payments faster and cheaper. But the downside is that you have to wait for payment and the fees charged are higher than if you had a merchant account. While third party processors are cheaper and more convenient in the short term (many startups use them initially), in the long run, a merchant account with a payment gateway is a more cost-effective business solution. A payment gateway is software that processes an online transaction on your behalf and to use one, you’ll need to obtain a merchant account from one of the banks. Once you do so and pass the information on to the payment gateway, you will be able to accept payments online, receive daily settlements to your merchant account and receive reports all for much lower fees. Unlike a third party processor, one of the advantages of a payment gateway is that it allows your customers to stay on your website to complete their transaction and receive payment confirmation, thus reducing the possibility of lost sales. Popular Australian payment gateways include Merchant Warrior, IP Payments, SecurePay, SCNet, e-Path and eMatters. 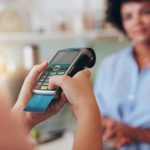 Rather than requiring your customers to use one single payment method, a better alternative is to give them a choice. And the Blue Star Direct Advantage can significantly improve your customer experience, offering your clients a choice of digital payment options which can be accessed from any PC or mobile device. All you do is send Blue Star Direct your data files and we’ll create a single data set that major bill payment providers can use to deliver your bills via your customers’ preferred channels including email, BPAY View, Australia Post Digital Mailbox, and Bill Exchange. Contact Blue Star Direct Group today to discover we our solutions can assist with improving your customer experience.